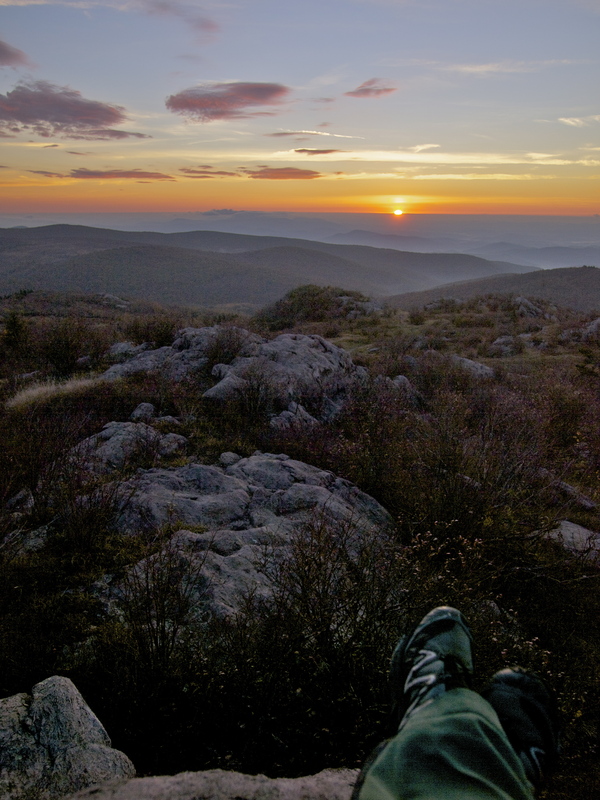 ← Packing for Backpacking: Southern Virginia! The Hills Are Alive… Lalala! 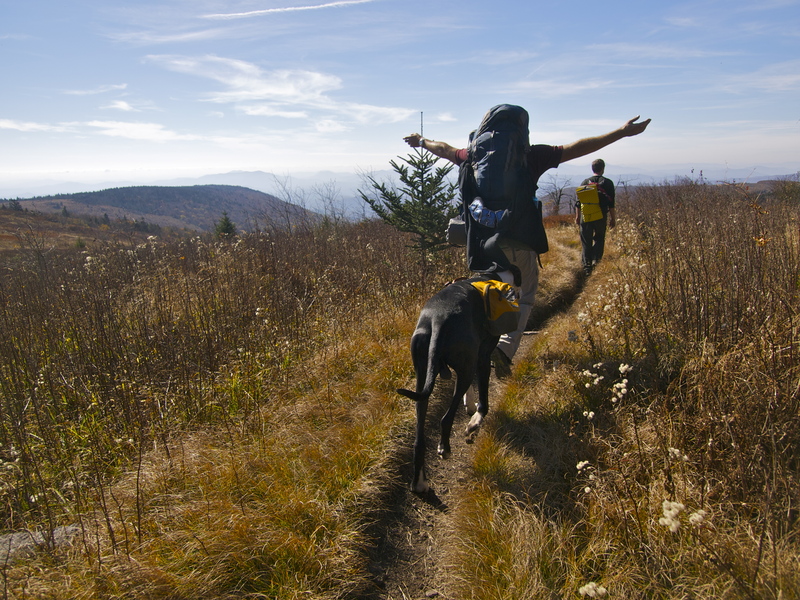 You know what I love most about the Appalachian Trail? That I can pick a section I don’t know anything about purely on the basis of convenience and have it turn out to be as glorious as the section we hiked this past weekend. 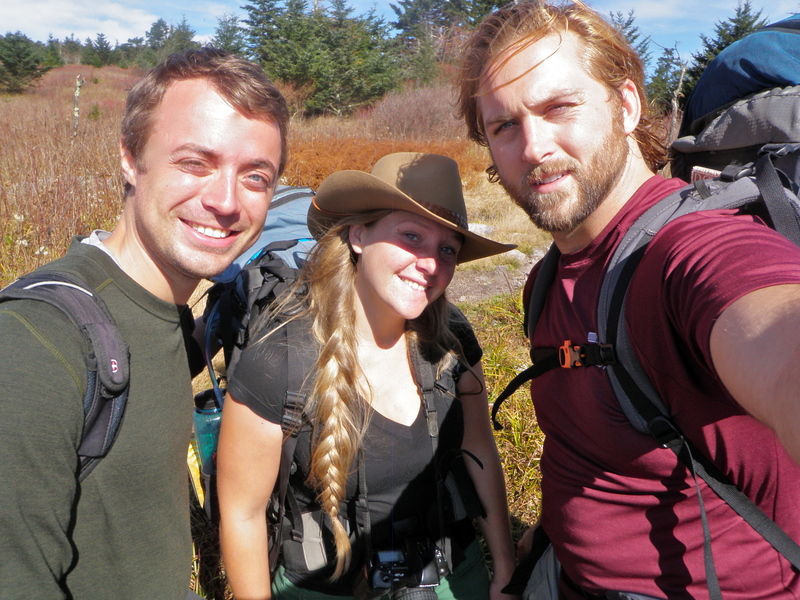 Seriously, this was one of the best hikes of my life and I essentially pulled it out of a hat. 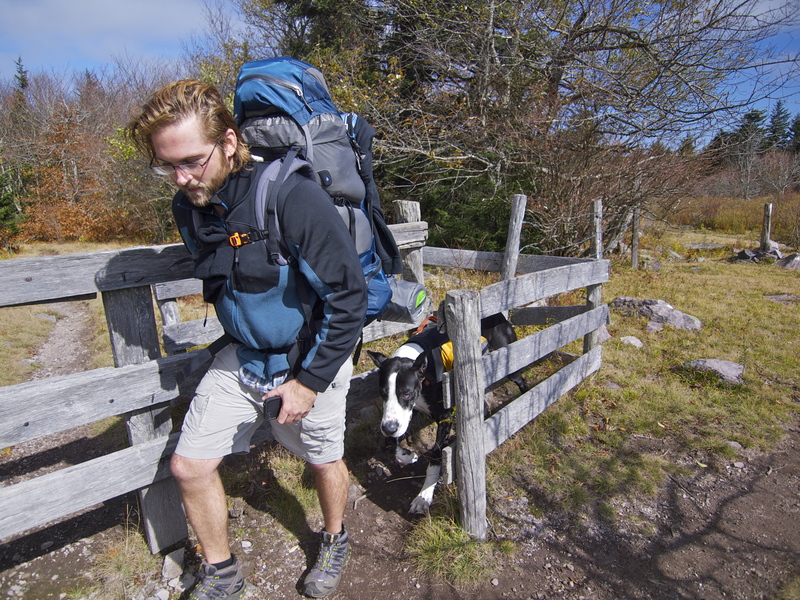 Me & Ant heading for the summit of Mount Rogers- the highest point in Virginia! Why yes, that’s a new Akubra hat! Ebay $14. Score! 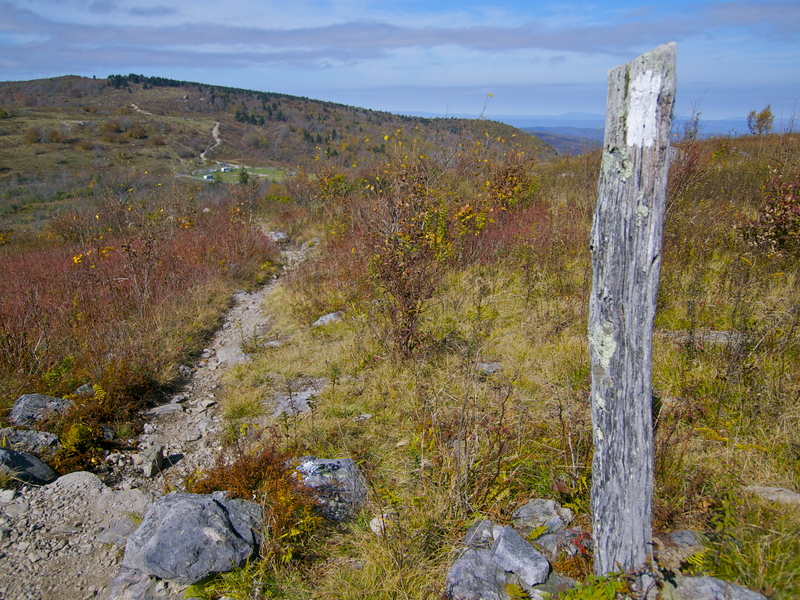 My task was to find a 20-mile section of trail roughly halfway between Lexington, Virginia and Charlotte, North Carolina, with a campground near the Appalachian Trail. That way my friend Anthony could drive up after work on Friday, meet us at the campground and we could hop on the trail early Saturday morning and be done by mid-afternoon on Sunday. Setting off on the AT! 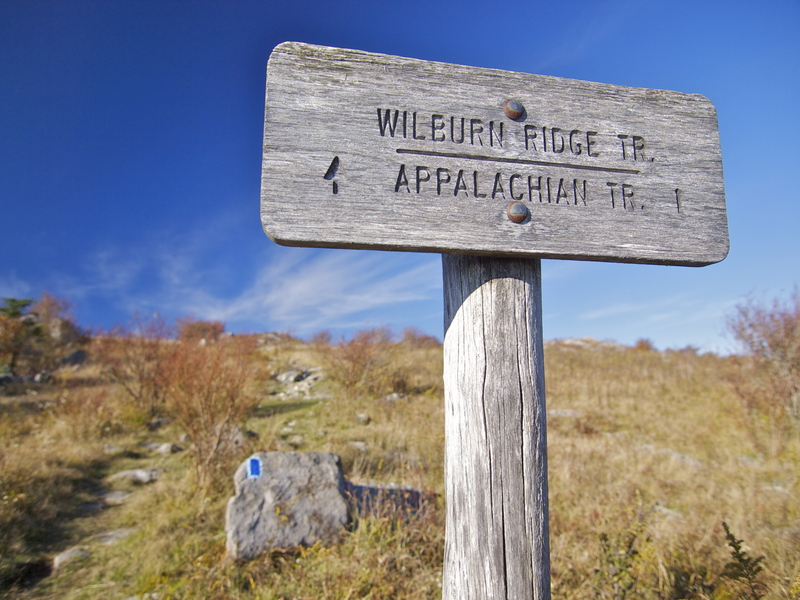 In a 20-mile loop we passed through Grayson Highlands State Park, several Wilderness areas and the Mount Rogers Recreation Area. 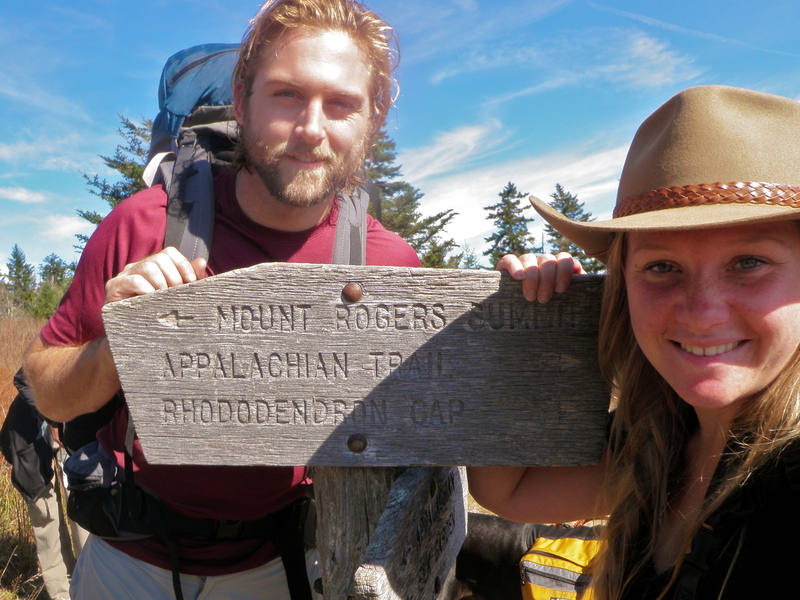 I settled on meeting at Grindstone Campground in the Mount Rogers National Recreation Area south of Marion, Virginia and hiking a 20-mile loop on the AT and the Mount Rogers Trail, which would take us up and over the highest point in Virginia! On Thursday last week, my friend Devin in DC emailed to ask if I was doing anything outside over the weekend and I said, why yes I am, come join us! So he strapped on his backpack, hopped on his motorcycle and rode down to my place and we carpooled south to meet Anthony and Drew at the campground late Friday. This simple plan nearly met with disaster. Devin and I arrived at Grindstone Campground at 9:45 pm only to be told the gate was shutting for the night in 15 minutes. Anthony and Drew were running late (as usual) and we had no cell service to warn them. So we found a campsite and I plastered the entrance of the park with notes, hoping that Drew and Anthony would see one of them, park their cars and walk in to our campsite. Miracle of miracles it worked! Drew made it in just as they were closing the gate and Ant and his giant dog Dozer came strolling into site 64 around midnight. Ah, the art of the well-placed note. I guess the world still revolved before cell phones, didn’t it? Dozer is a very dignified and well educated giant dog. Hiking through an Autumn Wonderland! 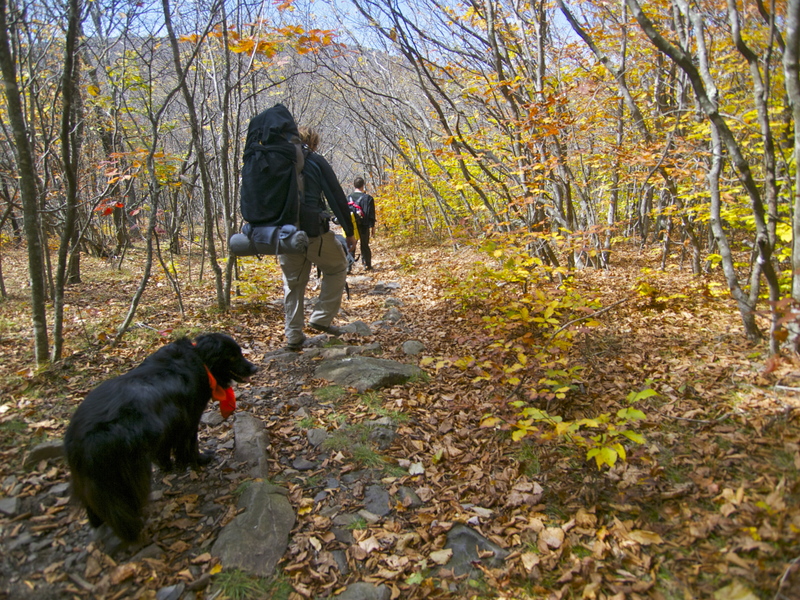 The Appalachian Trail is nicknamed “the Green Tunnel” because so much of it runs through the woods. The section we hiked this past weekend turned out to be a rare exception: much of the trail ran over vast balds with 360° views. 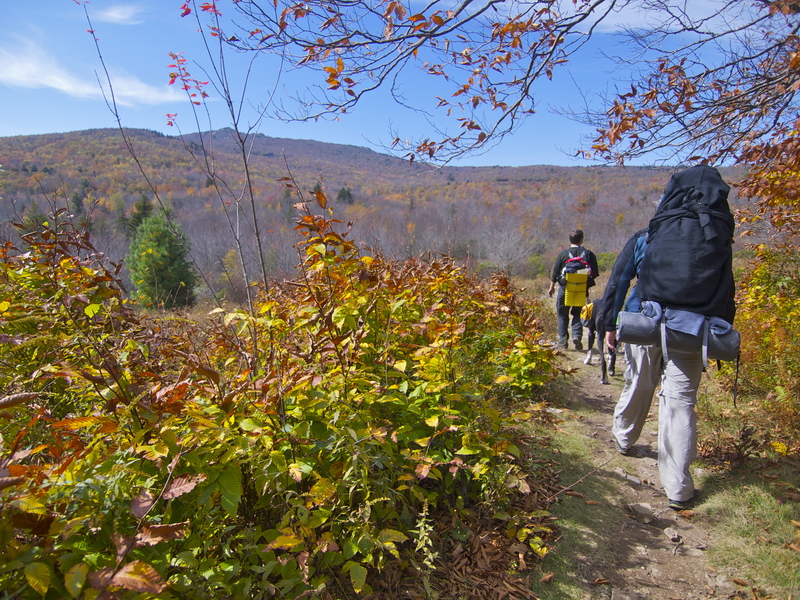 It was a perfect fall foliage hike! I’ve hiked a lot of the AT and have never seen anything quite like this place. Saturday Lunch on the AT. This is about where we realized we were in for a very special section of the trail. This section of the AT was new to me, but it’s apparently quite popular: the trail was loaded with scout troops, church groups, families, day hikers and fellow weekend warriors. This was not a trip for solitude, but in all that open space, there was plenty of room for all of us to enjoy the great outdoors. 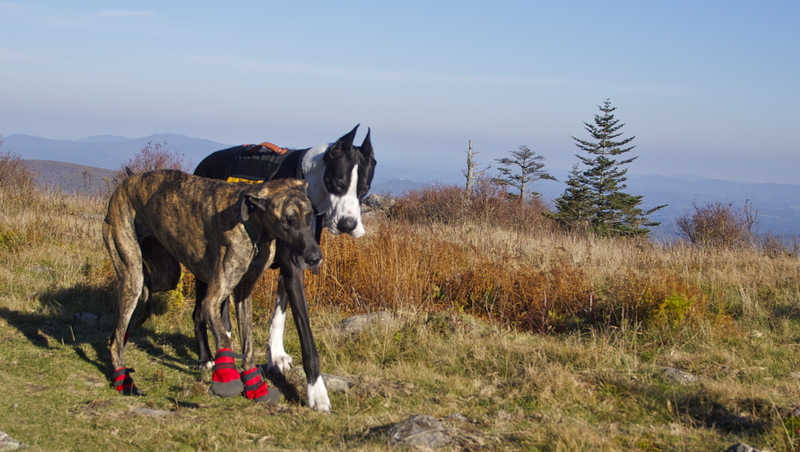 We met some cool people and got some sweet NC hiking tips; Dozer even found love on the mountain with a very pretty Danish girl named Maggie. 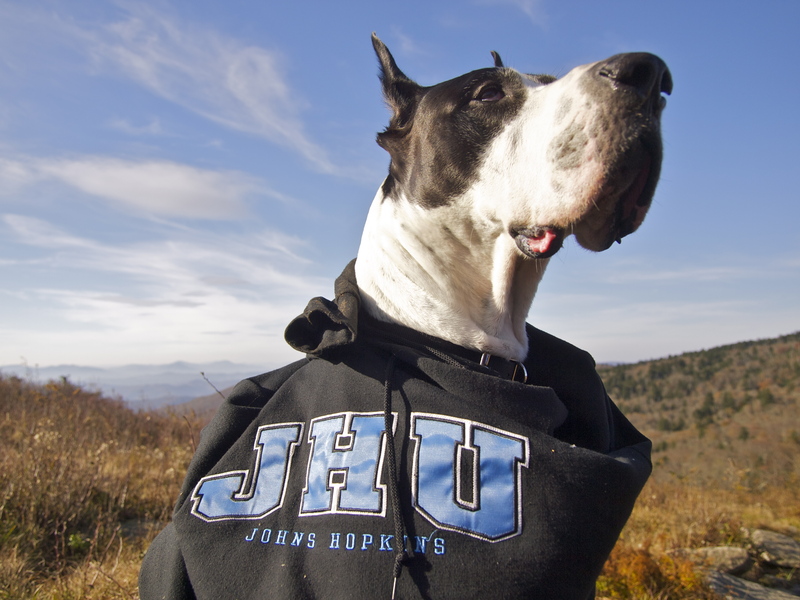 Great Danes meeting in the wilderness! For Dozer & Maggie it was love at first sight. I don’t think either of them gets to look another dog in the eye very often. 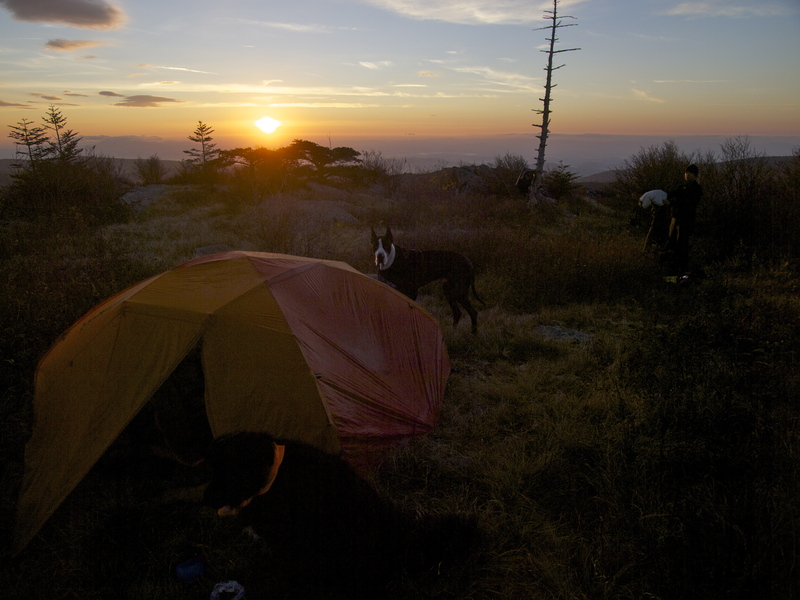 We camped about 12 miles in along Wilburn Ridge, on the leeward side of some rocks. Since the trail was so crowded, I didn’t want to set up camp at one of the AT shelters we passed. 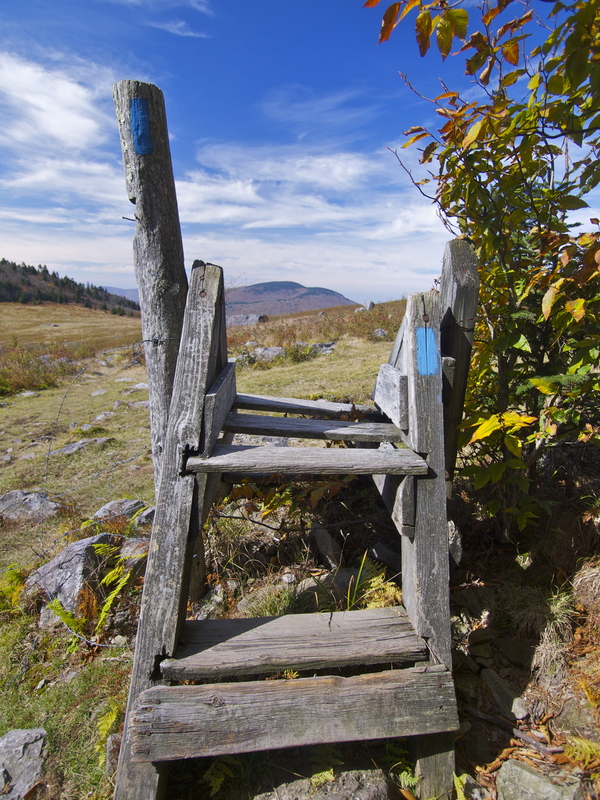 We kept an eye out for a level spot on one of the balds that would afford great views of both sunset and sunrise. About 12 miles in we found a perfect secluded campsite. Devin had packed a hammock, but with so few trees he ended up sleeping on the ground under epic stars. The next morning he woke us up just before dawn for an incredible sunrise and then we headed for Mount Rogers: the highest point in Virginia! 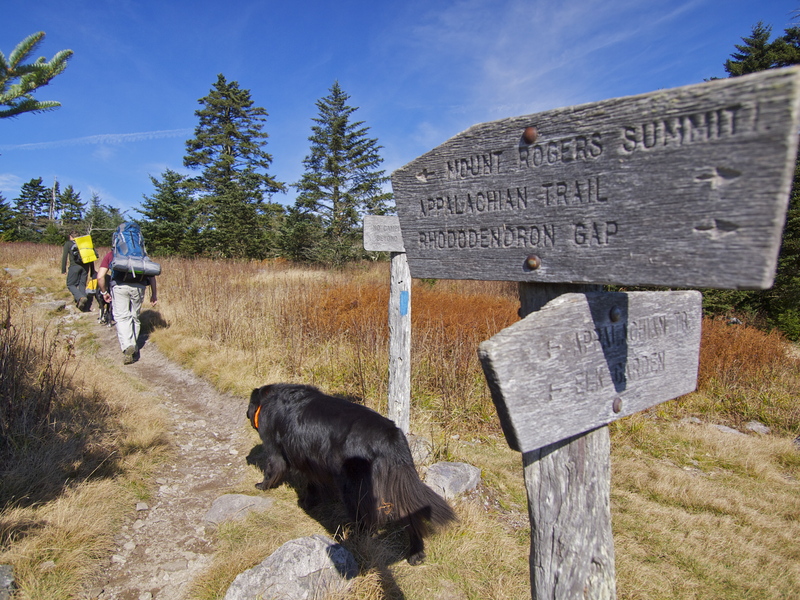 Heading for Mount Rogers! 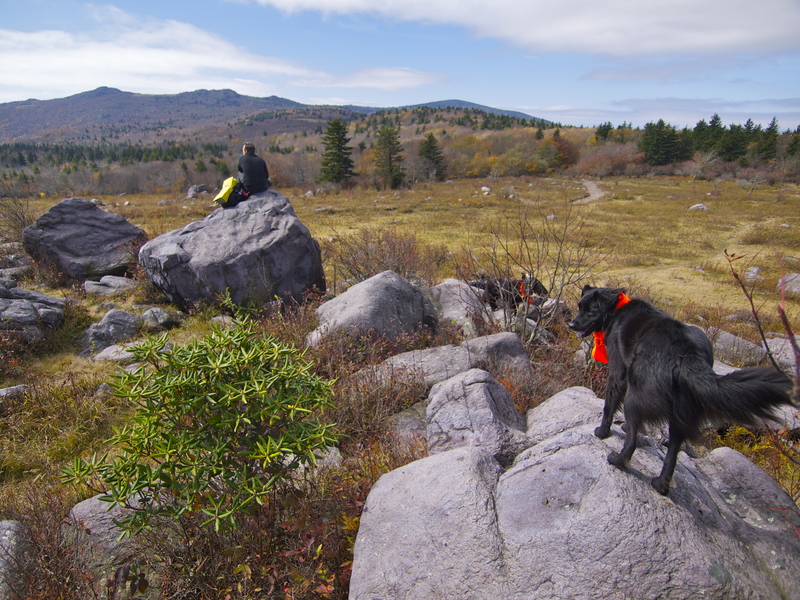 We dropped our packs on the side of the trail for the 1-mile out and back spur trail to the summit. Team Summit Shot! 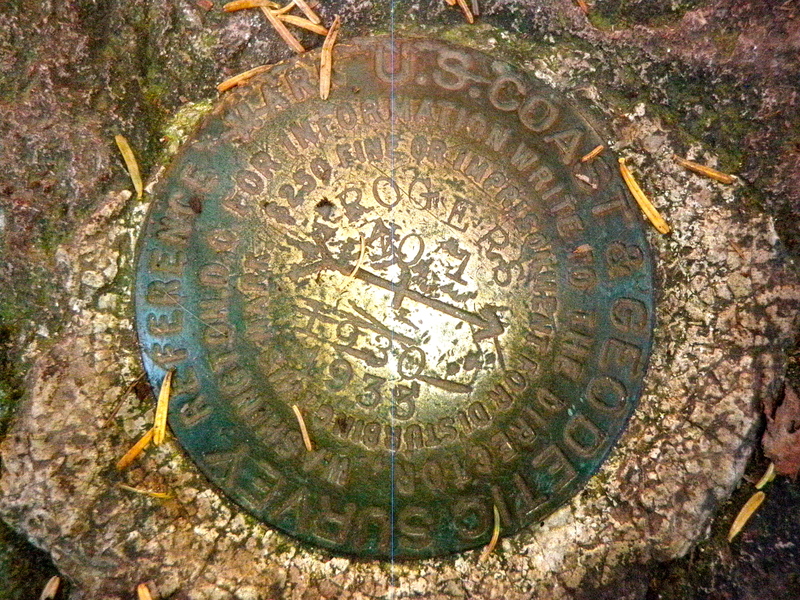 No views from the top but the woods were beautiful dense and deep – very Maine! The Weekend Warriors! Devin, Me & Ant. What’s an Akubra?! Only the best hat in the entire world! Check out my previous posts: Akubra Love and Akubra Lament. 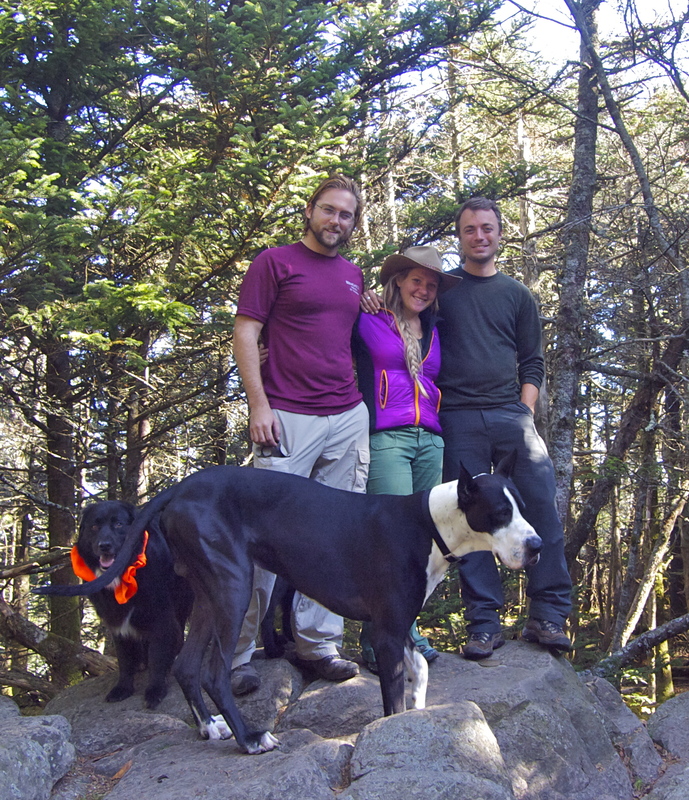 19 Responses to Hiking the AT: Glorious Grayson Highlands! Great pictures. Reminds me of my New England upbringing. 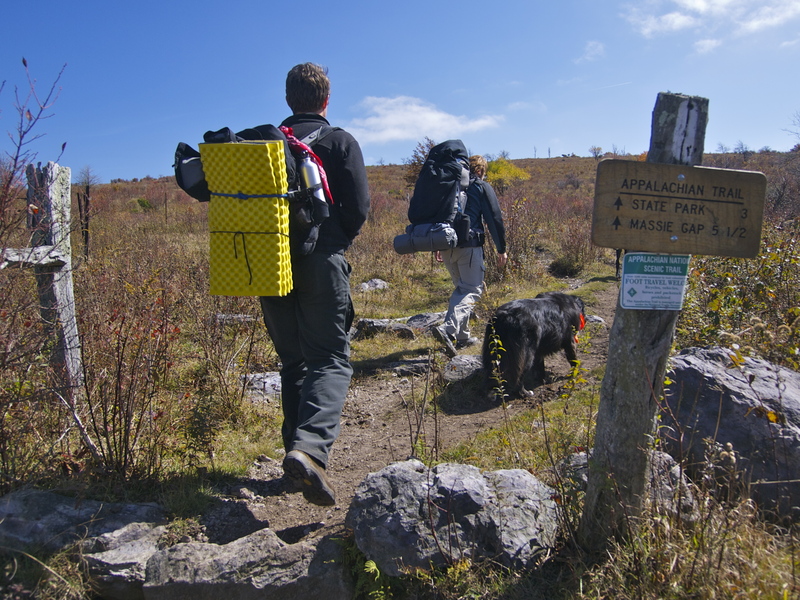 How inspiring for people who want to go backpacking, but are short on time! Any chance you could send me a copy of the exact trip you took?? I’m new to hiking. I’ve been looking for a good overnight trek for myself and some friends for spring break this year. Here’s another request for your hike itinerary. Thanks in advance for your help! 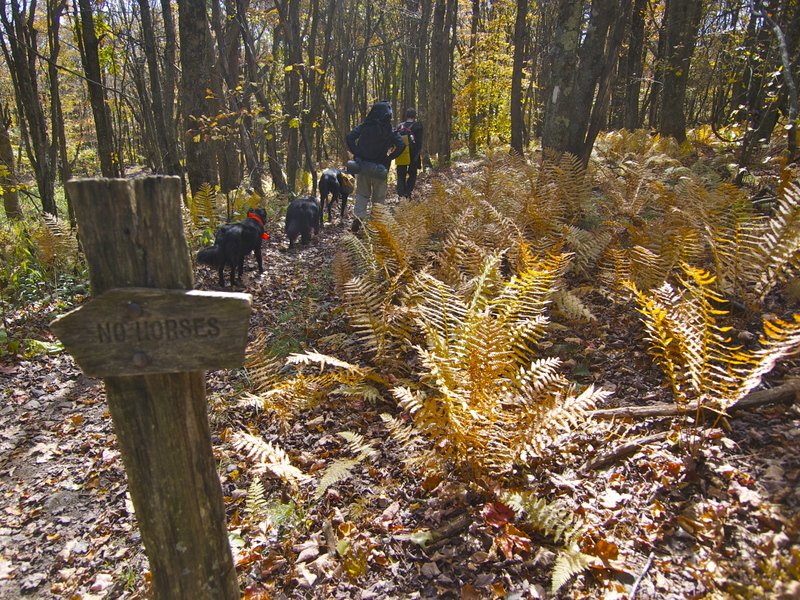 Sure: My friends and I did a 20-mile loop on the Appalachian Trail and the Mount Rogers trail over 2 days starting from the Fox Run trailhead, just down the road (route 603) from Grindstone Campground and ending at Grindstone. This area has a ton of trails and loop options so I’d encourage you to buy a hiking map of the area. Here is a link to the one we used: http://www.amazon.com/Rogers-National-Recreation-Illustrated-Geographic/dp/1566953138/ref=sr_1_6?ie=UTF8&qid=1352831901&sr=8-6&keywords=Appalachian+trail+maps+virginia. Looks like you found a good loop! I was hoping to do a similar hike and was hoping you could send me more specific information on your trip. I’m planning a trip up there for that second week of October this year. What was the weather like when you were there? also what is the little tear drop camper that you have called? I love it! Im about to head to California for some travel nursing and Im looking for something like yours.